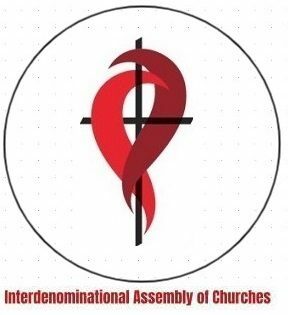 The Interdenominational Assembly of Churches is an association of Christian churches of different denominations, by definition of our organization, we must use the Ecumenical creeds, who is an umbrella term used in the Western Church to refer to the Nicene Creed, the Apostles’ Creed and, less commonly, the Athanasian Creed. The ecumenical creeds are also known as the universal creeds. These creeds are accepted by almost all mainstream Christian denominations in the West, including Reformed churches, the Roman Catholic Church, Anglican churches and Lutheran churches. Many Methodist churches accept the Nicene Creed and Apostles’ Creed. The Eastern Orthodox Church accepts the Nicene Creed but does not use the Apostles’ Creed or the Athanasian Creed. A creed by definition is a summary or statement of what one believes. It originates from the Latin credo meaning “I believe”. The purpose of a creed is to act as a yardstick of correct belief. A creed is an epitome, not a full definition, of what is required for orthodoxy. It was hoped that by memorizing this summary of the faith, lay people without extensive theological training would still be able to recognize deviations from orthodox doctrines based on the Bible as interpreted in the Christian tradition. The term ecumenical can refer to efforts by Christians of different church traditions to develop closer relationships and better understandings. The term is also often used to refer to efforts towards the visible and organic unity of different Christian churches in some form.